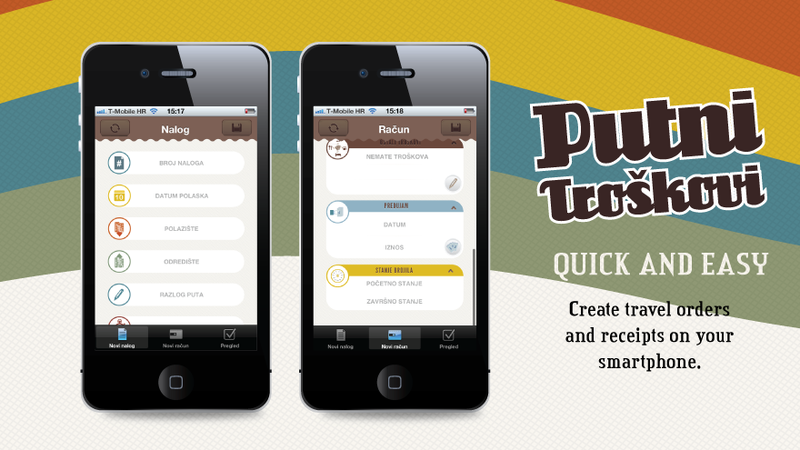 Putni troškovi app lets you create travel orders and receipts on your smartphone. 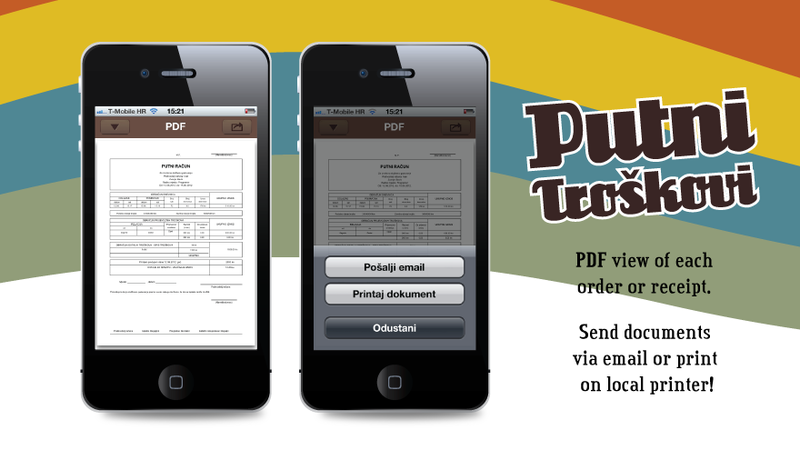 Saved documentation can be viewed in pdf format and sent via email or printed on your local printer. The documentation created with this app conforms to Croatian standards and supports autocomplete functionality for Croatian cities.